During my recent photographic expedition aboard the Sea Horse around the stunning Radja Ampat, which was a prize for one of the awards Sharks in Deep Trouble won last year, I had the privilege to meet the wobbegong shark. 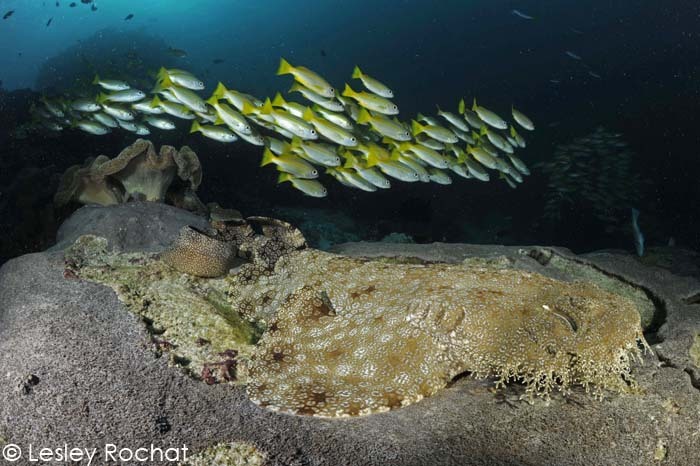 Though my fellow divers saw a wobbegong on almost every dive and John Bantin of Diver magazine, UK, who was on the trip began to refer to the area as ‘The land of the wobbegong’, they illuded me as I buried my face in my camera and solo dived, avoiding the rest of the group. But you can’t go to Radja Ampat and not see wobbegongs and fortunately I did, albeit it on my last couple of dives, and I have the photos to share. What an amazing animal, whose name is believed to come from an Australian Aboriginal language, meaning “shaggy beard”, referring to the growths around the mouth of the shark, which it uses to entice and catch fish. They are another of Nature’s masters of camouflaged and their beautiful patterns, which resemble a carpet, blend into the surrounds making them nearly invisible as they lie in wait to ambush passing prey. 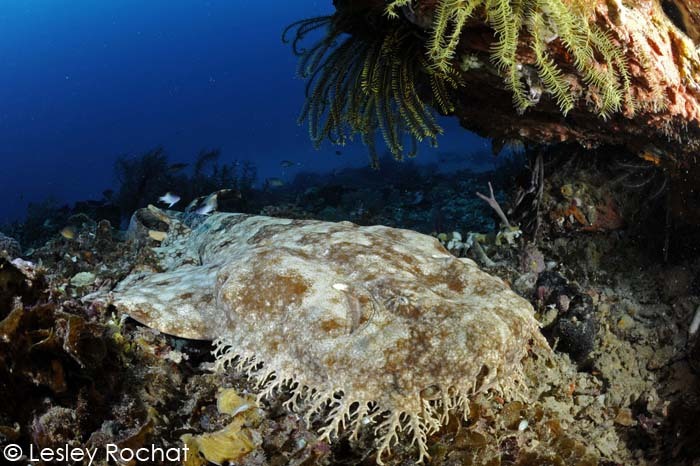 There are 11 species of wobbegong sharks, also known as carpet sharks, in the family Orectolobidae, and they are also under threat from fishers. They are found in shallow temperate and tropical waters of the western Pacific Ocean and eastern Indian Ocean, chiefly around Australia and Indonesia and one species occurs as far north as Japan. Most species reach up to 1.25 metres (4.1 ft) or less, but the largest, the spotted wobbegong, Orectolobus maculatus, grows up to 3.2 metres (10 ft). 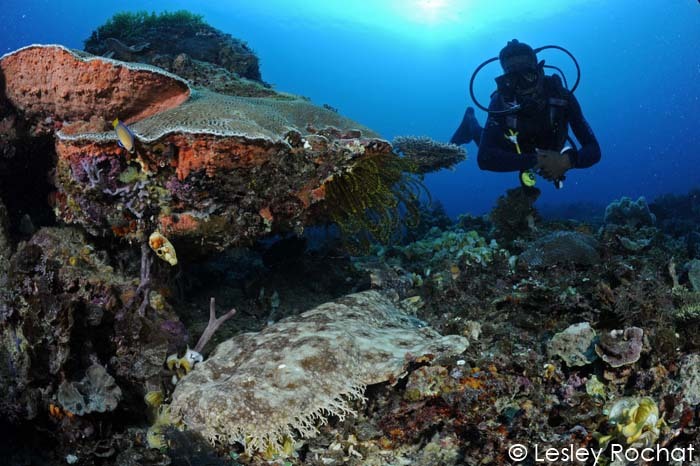 And by the way don’t provoke or step on a wobbegong, he/she doesn’t like it and there are cases of divers being bitten. Hmmm, must remember to do my research before I position my dome port an inch from a docile sharks nose again… But remember, the chances of being bitten by a shark are 1 in 264 million, as reported in data from the International Shark Attack File.